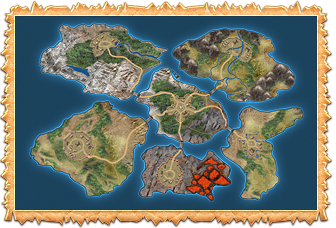 «Legend: Legacy of the Dragons» :: Infoportal :: News :: Clan Wars Announcement! Brave Warriors! It is time for warriors to be able to challenge themselves and bring fame to their clans! On September 17 a new season of Clan Wars begins for players of all levels and we invite you to become patrons of the competition! All 2 stage clans will be able to participate in Clan Wars. The rewards will be blesses, certificates for clan resources, and the prize fund in gold, which will be devided between winning clans. Game administration already donated 2000 to the prize fund. However you can donate to the prize fund yoursleves, and become patrons of the competition! By purchasing Patron's chests, each time you will increase prize fund by 15. When you first purchase Patron's chest you will receive new legendary achievement – Sponsor. Moreover, in Patron's chest you will find unique gifts, which you won't be able to get any other way! Sale of Patron's chest will start in Premium shop from September 14th and will last utill November 5th. Donate to the Prize Fund! Sale of Patron's chest has already started in Premium shop from today,­ September 14th and will last utill November 5th. They are, and have been since the beginning, at 8 pm game time every Monday,­ Wednesday and Friday until the admins announce otherwise. Plus, I'm sure­ they'll announce tomorrow.